Labelled as an outcast by the rest of Santa’s sleigh pulling reindeer, Rudolph the red-nose reindeer, though mocked off, is indispensable and without him Christmas might not make it to every house from all corners of the globe. With his very shiny nose, Rudolph guides Santa’s sleigh even through the harshest of weather, but exactly why is his nose so red? 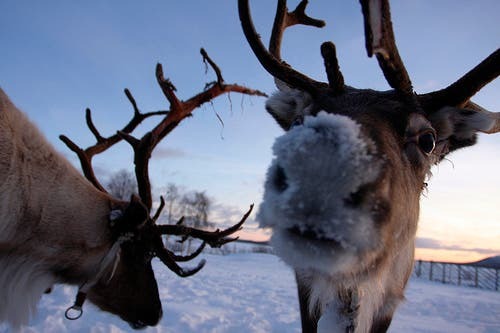 Dutch scientists suggest that Rudolph’s nose has microvascular flow issue in his nasal mucosa. “We’re kind of glad they didn’t do the same thing with the reindeer, because the last thing we would want is reindeer on cocaine, pulling Santa around the sky,” said Cullen.